77% of illicit drug users are currently employed. More than 60% of adults know someone who has worked under the influence of alcohol or drugs. American companies encounter approximately $81 billion in lost productivity, absenteeism, and accidents due to substance abuse in the workplace. Employee substance abuse results in 500 million lost workdays each year. How Can Workplace Drug Testing Protect Your Organization? Decreased absenteeism, accidents, downtime, turnover, and theft. Increases in productivity and overall improved morale.Better health status among many employees and family members and decreased use of medical benefits. Decreased premium costs for certain kinds of insurance, such as Workers’ Compensation. Welcoming of drug-free programs by employees and unions. Deters users of illegal drugs from applying and remaining in the organization. Pre-employment drug screening sends a signal to applicants and employees that substance abuse is not tolerated. 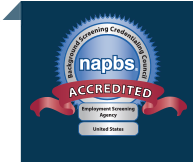 In fact, companies with active pre-employment drug screening programs are less likely to attract applicants with substance abuse problems to begin with since those applicants are more likely to avoid employers with drug screening requirements. For current employees, random drug testing can provide ongoing enforcement of your organization’s drug-free policy. 90% of large U.S.-based companies have drug-free workplace programs in place, compared to only 5-10% of small and mid-size firms. This discrepancy puts small and mid-size firms at particular risk when it comes to employee substance abuse. After all, individuals who cannot adhere to a drug-free workplace will seek employment where such programs do not exist. In fact, 90% of current illicit drug users and the same percentage of heavy drinkers work for small and medium sized firms. As these figures show, the importance of drug screening cannot be understated. Many organizations are subject to legal requirements related to drug screening. Federal grantees and contractors, safety-sensitive industries, and security-sensitive industries working the Department of Defense all must adhere to Federal drug screening regulations. If your business falls into one of these categories, you have no choice but to institute a drug screening program. Furthermore, many states have laws and regulations that impact when, where and how employers can implement drug-free workplace programs. Understanding and abiding by these laws is critical. Proforma can help you understand these complex legal requirements and build a compliant drug screening program for your business. Your drug screening policy should be matched to the safety and security risks associated with your business and the specific risk factors associated with potential employee substance abuse. Obviously, the more moderate safety and security risks you have and the fewer employee substance abuse risk factors, the less involved your drug screening program needs to be. What’s important is to have a program in place that adequately protects your organization for the risks you face. Proforma can assess your risk factors and create a drug screening program that is appropriate for the needs of your organization. Your drug screening policy forms the foundation for a successful drug screening program. It is a written document that addresses the purpose, expectations, and consequences surrounding your drug screening program. Proforma can help you create a drug screening policy that puts employees, supervisors and company leadership on the same page with the organization’s drug screening program. While your drug policy addresses the purpose, expectations, and consequences associated with your drug testing program, your drug testing procedures will identify who will be tested, when they will be tested, and the type of drug testing that will be utilized. It also outlines the procedures for handling drug test results, including how results should be communicated to the subject. Proforma will advise you of best practices for drug testing procedures and will recommend the appropriate testing methodology. We can also handle compliance fulfillment as required by the FCRA. When implementing a drug screening program it is important to notify employees and applicants of the drug screening policy before the application process and before the program is implemented. You should explain why the drug screening policy is in place, review penalties associated with drug use, and make it clear that drug use will result in termination or denial of employment. To further increase employee awareness, your drug policies should be posted and displayed in common work areas and you can provide a copy of the policy in your employee paycheck envelopes and in your job application package. Before you take on drug screening, you need to think about who will manage the program both internally and externally. Inside the organization, a drug screening program is typically run by the HR manager. Outside the organization, the services of a drug screening provider will help ensure your program is run efficiently and in compliance with legal requirements. Most companies choose to combine drug screening services with their overall background screening program by selecting a vendor that can handle both. Let us help you create an effective drug screening program. At Proforma, we help organizations of all sizes create and implement drug screening programs for both pre-employment and continuing employment purposes. Our goal is to support your efforts in building and benefiting from a drug-free workplace.